Hey everyone! We are super excited to announce a tour we're hosting for CONSORT OF SECRETS A Reverse Harem Paranormal Romance (The Witch's Consorts Book 1) by Eva Chase which releases on March 8th! The tour will run for two weeks - from March 12th-16th & 19th-23rd will have one stop per day and will consist of a mix of reviews, interviews, and excerpts. Review copies (eGalley's only) will be provided by the author at the end of February. 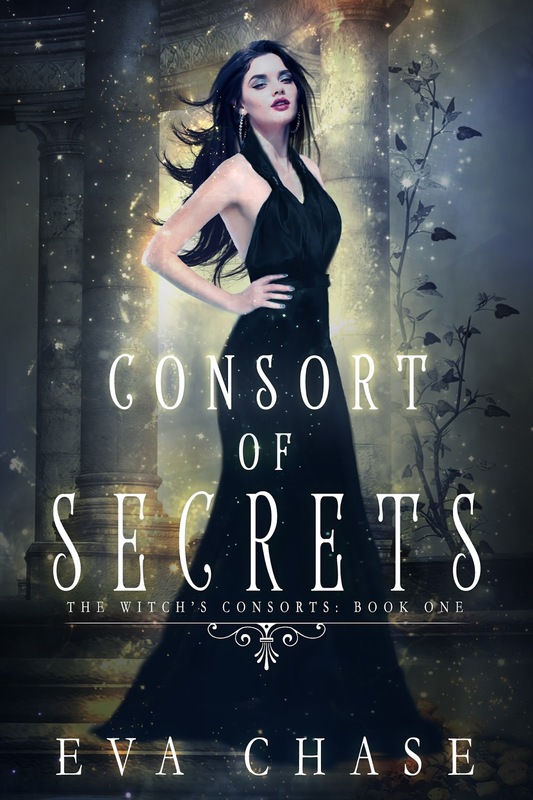 We are totally stoked for the tour for CONSORT OF SECRETS this March, I love Eva's books and can't wait to read it myself! We can't wait for everyone to read it! Stick to your own kind. Never reveal your powers to outsiders. Take a consort from the witching families or kiss your magic good-bye forever. For years I've been quiet, obedient Rose Hallowell. I accepted the man my stepmother chose for me. But I never stopped missing my long-ago friends. Now we're back on my childhood estate to arrange my marriage. The boys I grew up with? They're still in town—and they haven't forgotten me either. And damn if they haven't grown up well. They've got no magic, no place in my life. But they're charming and sweet and infuriatingly hot, and I can't seem to stay away. The more I try to resist, the more secrets I uncover about my family, my betrothal, and everything I thought was true about the witching world. I've been lied to. I've been betrayed. So to claim my magic and my happiness, I'll break every rule there is—and then some. Don't mess with this witch. Every rose has thorns.